Reminder! We’ve got a bunch of very cool T-shirts, mugs, stickers, and more for sale — and the money we make from these will go to App Camp for Girls. 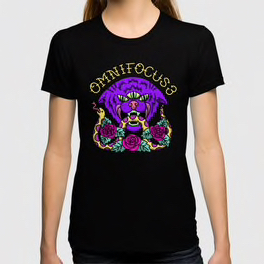 The crowd favorite is the OmniFocus T-shirt with a three-eyed purple cat carrying his friend who’s a snake covered in roses.